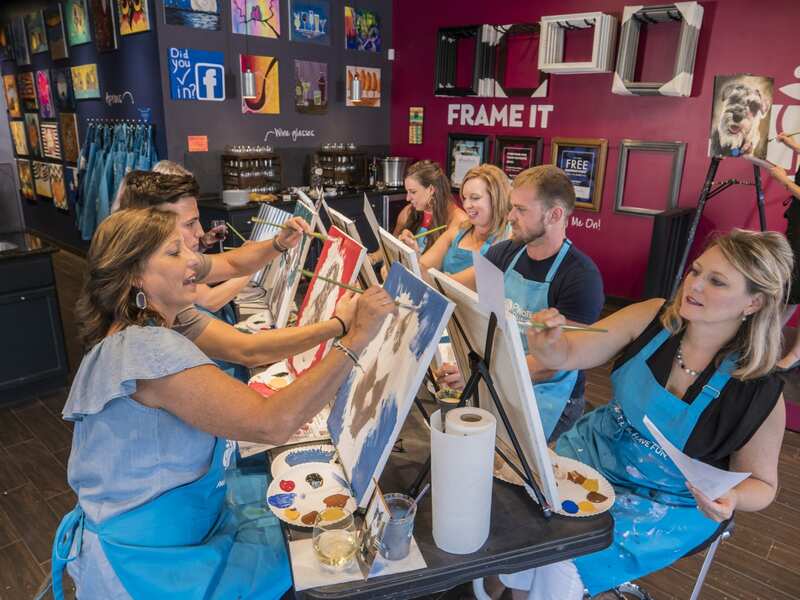 Pinot’s Palette is a pioneer of the paint and sip experience – a revolutionary way to enjoy art and wine, meet new people and bond with friends. Guests enjoy a no-experience-required art class — all supplies included — directed by trained, local artists, who guide guests step-by-step through a featured painting. 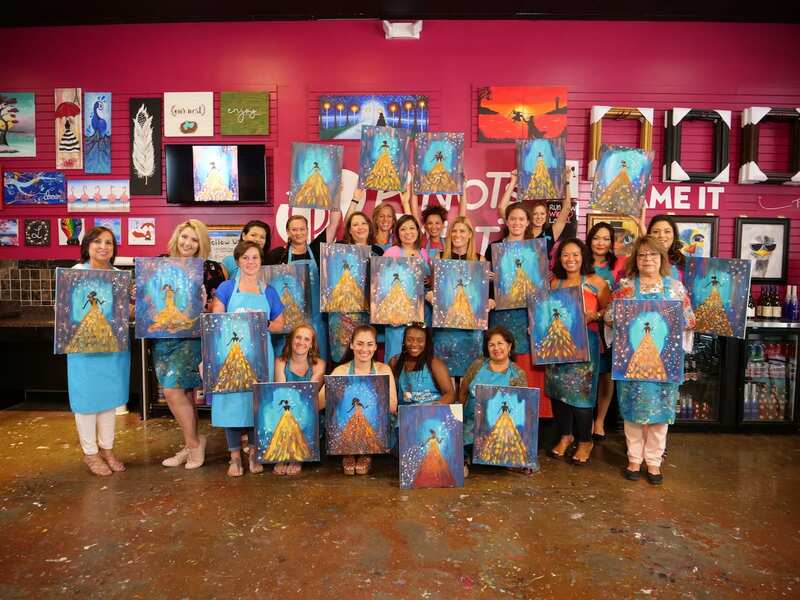 By bringing fun, modern and creative ideas to their events, Pinot’s Palette creates a unique, rewarding experience while providing a worthwhile contribution to the community. The celebrations are endless, from birthdays, Girls Night Out, Team Building, Mobile Events and Community Fundraisers. Bring snacks to enjoy or ask one of our local restaurants to cater your painting party. Our bar features Livermore wines, local craft beer and non-alcoholic beverages for purchase. No outside beverages. 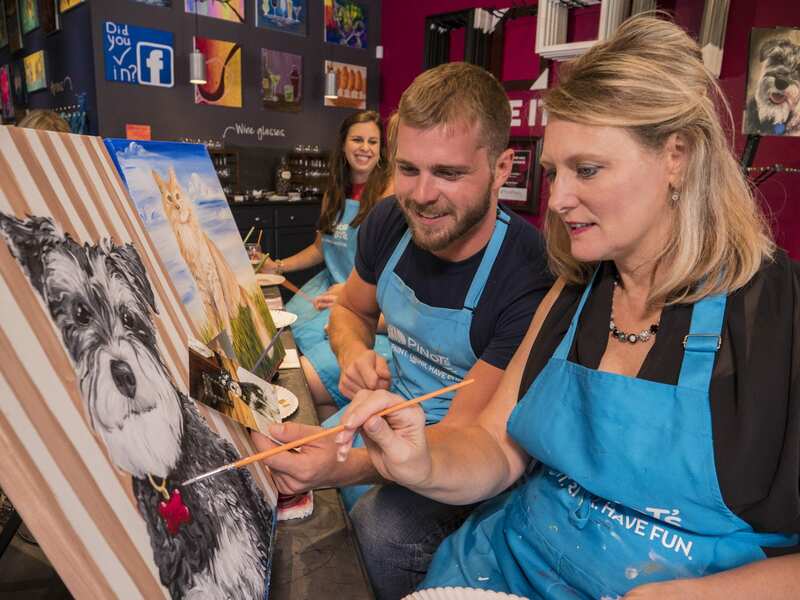 Public Events have the following Age Policy 21+ in our paint and wine studio. However, check our events calendar for Little Brushes mobile events.